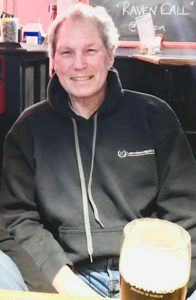 Rod Abrams Funeral Home Ltd. Tony Baxter - Rod Abrams Funeral Home Ltd.
A Celebration of Life will be held on Sunday April 28th, 2019 at the King City Community Centre, 25 Doctors Lane, King City, ON., from 1:00 to 4:00pm. Dear Marieanne and family, sending my heartfelt condolences at this most difficult time. My deepest condolences to Tony’s family. Tony was my Principal at SMI early in my teaching career. He was so kind, supportive and above all funny! You could come into his office with a problem and walk out laughing every time! Tony Baxter was a wise, witty and altogether wonderful principal. He was so supportive of his staff and loved his students. May he rest in peace! Dear Marieanne and family, Jacqueline and I will miss Tony a lot. Love that quote ! I can hear him saying that. He was always very kind to Jacqueline and I, and interested in whatever we were up to. Our heartfelt condolences. Beat principal I had in my 36 year career. Professional, kind hearted and always took the time to listen. My sincerest condolences to the family. I was so sorry to hear the news about Tony. I will miss our telephone conversations where he never ceased to amaze me with his witty sense of humour and his stories especially during our political discussions. I quite enjoyed working with Tony at St. Francis of Assisi He was real,witty, kind and always thoughtful. I will always remember his devilish grin. Condolences to his family and regrets I will not be able to attend the Celebration of his life. You will be in my thoughts that day and I shall raise a glass in his honour. Dear Marieanne and Family. I was very sorry to hear of Tony’s passing. I have some wonderful and funny memories of Tony and his sidekicks Joe Milne and Adam Young. My first two years of teaching with Tony and the gang were full of fun and adventure. I do remember the beer and the bike! Tony was my brother Peter’s teacher….his math and his music were much loved by the kids! This was clearly a gentleman who knew how to enjoy life while providing those around him with a smile and a wise word. May his memory be a blessing and comfort to the many people who cherish and love him. I think of Tony and immediately a warm smile comes over me as I reminisce on his wit, caring and happy go lucky demour and his incredible love for Marieanne, his girls and the rest of family. He always had a smile on his face while you were near and he was surrounded by friends. Big hugs to all and RIP to an incredible man! Our thoughts and prayers are with you at this time. We will cheer for the Canadiens in Tony’s honour (only once, mind you). Dear Marianne and family, I was so sorry to hear of Tony’s passing. Our paths crossed, socially and professionally, many times throughout the years. My memories always include his warm smile, his joy of life and his love for his wonderful family. My prayers and sincere condolences are with you. My first couple of interactions with Tony consisted of him making prank calls to me at the office enquiring about landscaping. The first call was not long after I started at JC and Tony identified himself as Igor wanting information about design and build. Tony had me fooled for about 3 min into the conversation and he only blew his cover when he called me “kiddo”. Over the years, Tony still made his prank calls but I managed to out him early into the calls. I will miss his great sense of humour and our conversations and emails about politics, internet humour and our shared passion with firearms and the associated technology. As we say in the Military Airborne community, “Blue skies and soft landings Tony until we regroup together on that big Drop Zone again”. Rest well. It sounds like he was a wonderful man that enjoyed a great life. We are thinking of you all at this very sad time. Dear Marianne and family, I was sorry too hear of Tony’s passing. I enjoyed his wit and sense of humour. My sincerest condolences in this difficult time. A true and genuine friend who will be greatly missed. Deepest sympathy to Marianne and the family circle. My thoughts, prayers and condolences are with you at this difficult time. Hi Marieanne I have warm thoughts thinking about you and Tony. Great role models for all around you including your girls. They are sweet. I would like to thank Owen for reminding me about Tony’s pranks. He got me every time he called the shop. Warm wishes to you,family and friends. RIP Tony,Very talented man.A pleasure to be part of your life.Enjoyed myself so much with the beautiful group of girls you left behind.They will miss you dearly…this I know!Take care and enjoy what you left behind only till you are all one once more.Such a wonderful family.God Bless. We are all saddened to hear of Tony’s passing. Tony was always a welcomed visitor to our office. His quick wit and sense of humour had a way of lighting up our day. We will truly miss his infectious spirit. Our thoughts are with his family at this difficult time. I am so sorry to hear Tony’s passing Marieanne. My deepest sympathies to you and your family. You and your family are in my heart and mind. I will miss the conversation with him for every subjects we talked, from Cliff’s hockey to school, children’s education…..
My thoughts and prayers are with your family during this very difficult time. Tony was my Grade 4 teacher at Our Lady Help of Christians in Richmond Hill. I remember him to be a teacher who cared deeply for all of his students. He had a wonderful sense of humour and brought his love of music into the classroom on many occasions. And, yes, I remember his love of motorcycles as we could always “hear” when he arrived to school. As a teacher at York Catholic our paths crossed professionally many times prior to his retirement and we always found a moment to chat. May the many memories of Tony that you hold dearly in your hearts bring you peace and comfort in the days to come. Tony was someone we had the privilege to call our friend. His humor and caring he should us and especially for Maddie will always be remembered. May he Rest In Peace and May the lord welcome him in his new home.